Children are natural learners and engage much more than just their intellect. 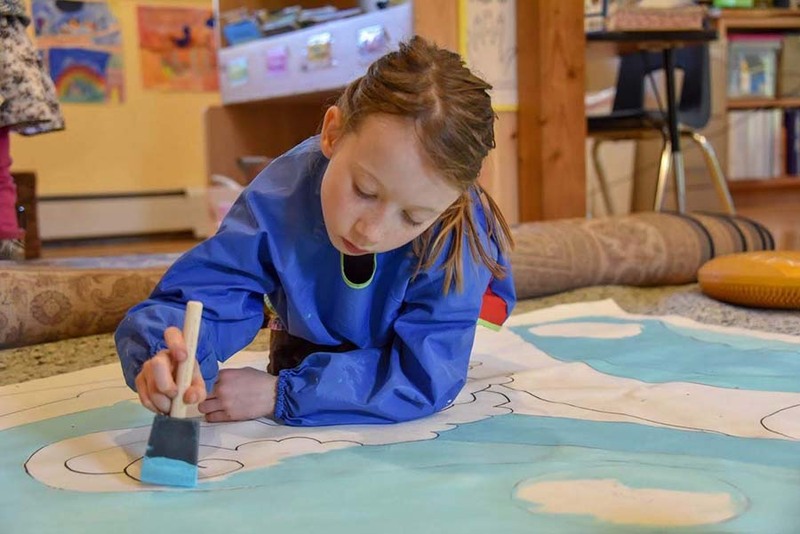 In pursuing optimal academic growth for all students, Salmonberry uses an integrated and thematic approach that draws out children’s sense of imagination, creativity and adventure. Curriculum is designed to bring various subjects together through whole experiences both inside the classroom and beyond. Salmonberry’s smaller multi-age classrooms are designed to deepen the relationships between teachers and learners by emphasizing communication and kindness and respecting a diversity of experiences. In this intimate environment of cooperation and camaraderie, each child is known and cared for by teachers and friends alike. 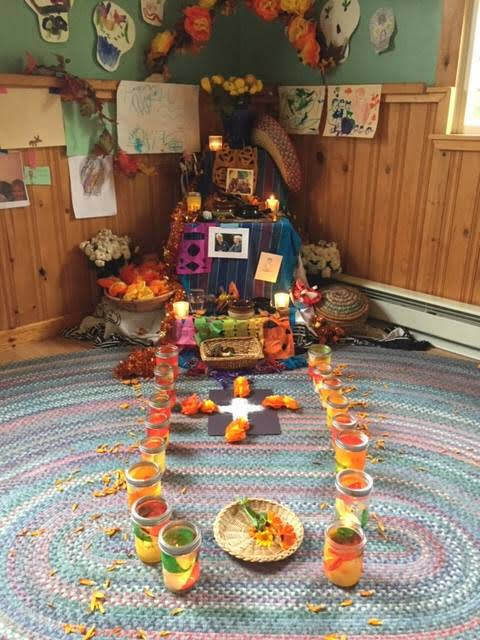 Our students are given opportunities to explore learning their bodies through play and dance; they explore creativity through art, craft, music and drama; and they learn to pause, breathe and self-reflect through meditation, journaling and community meetings. Teachers guide students as they learn through their minds, bodies, hearts and spirit. Salmonberry School teaches the whole child. We believe that children learn best at their own pace. We provide students with the freedom, the opportunities, and the tools to discover and pursue their passions. Our curriculum is rich in language, literature, science, craft, and the arts. We integrate strong academics with active learning to bring integrated thematic units to life. This challenges and inspires students to develop as creative thinkers and doers. Our school community is based on mutual support and respect among students, teachers, and families. At Salmonberry, children thrive in an environment of cooperation and camaraderie. They develop self-respect, and appreciation for the different perspectives of others. Community service projects, a strong multi-cultural focus, and deep involvement with nature’s rhythms are central to our program. Through these experiences, students become informed, socially and environmentally responsible citizens. Children are inherently curious, full of wonder, and eager to learn. Salmonberry strives to facilitate and encourage these qualities, and fosters independence, self-confidence and curiosity. Leading by action or example is usually the most effective way to teach children. Children are active participants in learning. We strive to make activities meaningful, relevant and authentic, without “busy work”. Experiential education is a cornerstone of our practice. Whole children are beings of mind, body, heart and spirit. The Salmonberry program addresses, integrates and respects all of these aspects of each child. Each child is unique in his or her developmental level, learning style, multiple intelligences, interests, etc. Each child learns at his/her own pace, in his/her own style. Salmonberry is a place of peace, calm and safety. Our most important class rules are–be kind and be safe. We emphasize kindness, respect, nurturing, taking care, noticing, being thoughtful, and communication. Rules are clear, fair and equitably enforced. Behavioral expectations are clear. Aesthetics are important. We use natural materials, textures and colors as much as possible. The environment is free from commercial images, stereotypical images, jarring colors, etc. Children are capable of creating beautiful, vibrant works, which are often displayed and celebrated. Rhythms, routines and rituals help to create a sense of predictability, safety and comfort. These routines are always flexible and responsive to the children. Each day has a breathing rhythm, which includes whole group, small group, individual tasks and quiet time. There is a balance between activity and stillness, teacher directed activities, independent exploration, and shared cooperative tasks. We acknowledge, study and celebrate the rhythm of the seasons, the weather, and holidays. Children are part of many communities — family, class, school, town, island, nation, world, etc. At Salmonberry, they learn to respect and interact with one another. They learn to work out their differences with each other and with adults. They learn to be socially responsible members of their communities. Our curriculum and program reinforces children’s interconnectedness and interrelatedness among themselves, natural, and human communities. We emphasize cooperation and de-emphasize competition. Parents are always welcome to visit and are valued as helpers, supporters and providers of insight into strategies that are effective with their children. Teachers are facilitators, observers, and supporters. The particular opportunities and challenges of this stage of development are reflected in Salmonberry’s carefully crafted Kindergarten program. 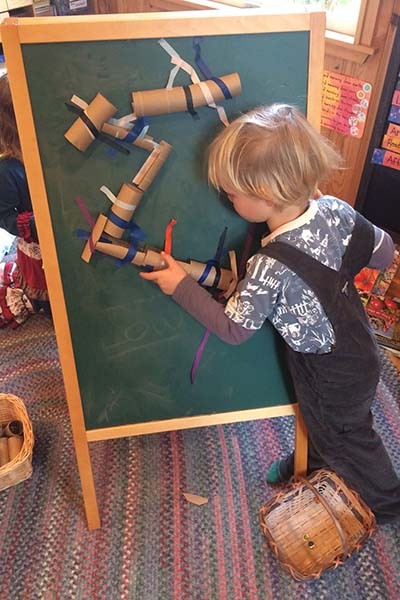 This is a year of tremendous growth and change for children and Salmonberry makes every effort to provide the optimal bridge between play-based and explorational early childhood and a deeply engaging, rigorous and project-based elementary program. Students are given the gift of combining time in a multi-age early childhood environment in the morning hours with an intimate Kindergarten-only environment in the afternoons. Please see Salmonberry’s Kindergarten Program page for a detailed description of this program.